“I think he would have been a blogger,” said Jean Seaton, a professor at the University of Westminster in London who administers the Orwell writing prize and thought up the idea of the blog. 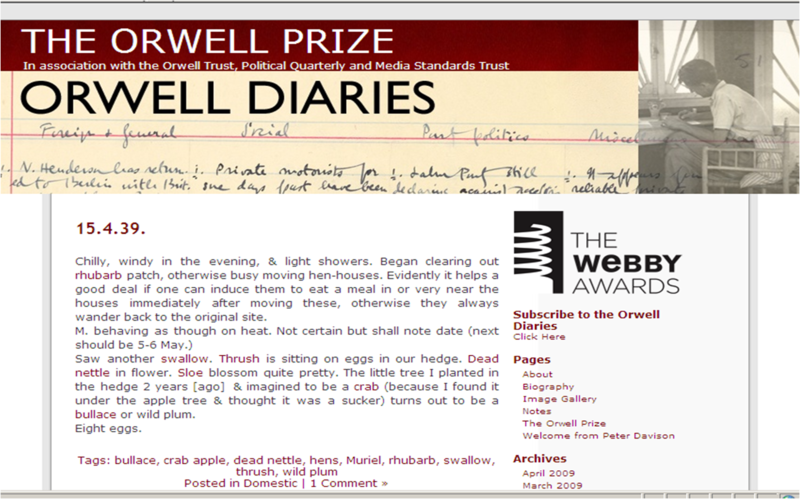 Though as prolific as any blogger (his collected writings occupy some 20 volumes), Orwell, who died in 1950, never had the chance to spontaneously publish his thoughts to a waiting public. 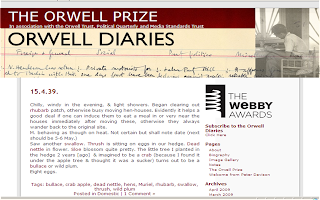 Now — with some lag time — they are being made available that way at orwelldiaries.wordpress.com. We know, for example, that these 1938 diaries began to observe the disturbances that became World War II. That adds drama and suspense, and gives viewers a reason to keep checking back and participating--they can leave comments, pose questions, and learn more by clicking the links that offer more explanations of terms and phrases in the diaries...or offer corrections. How would you adapt archival material? Nonprofits might use historic collections as ways to engage alumni or older supporters, and collect oral histories alongside their archival blog posts. Corporations--particularly product manufacturers--can show off packaging and products of yore, creating, in effect, a factory tour online. Research universities might catalog historic discoveries from their campus labs, and journals from their pages of the past. And if your business is history, start posting on behalf of some of the people I imagine would be fantastic bloggers: great letter-writers like Jane Austen or Abigail Adams, or great speakers like Abraham Lincoln. Got more good examples? Share them in the comments.